As a mother of two growing young men, I find myself cooking hearty meals regularly. Of course they have few complaints about pasta or steak dinners but my midsection does not concur with their opinions. In an attempt to eat healthier I took a page from my good friend, EA's, book and meal prepped for a complete week. The preparation didn't take as long as I expected and the cost of the food and boxes were quite affordable. 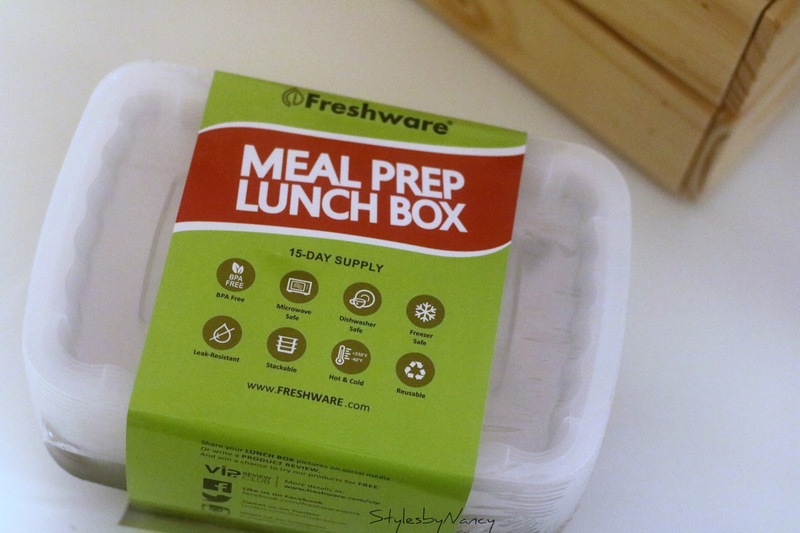 I purchased these meal prep boxes from Walmart for about $10 online using their free ship to store option. The meal prep boxes were surprisingly durable and convenient. As for the food, I will probably make different choices next week. I learned that asparagus is not a vegetable that I look forward to eating daily. Also, I noticed that even though the salad looked fresh, it absorbed other flavors throughout the week. Have you ever meal prepped before?